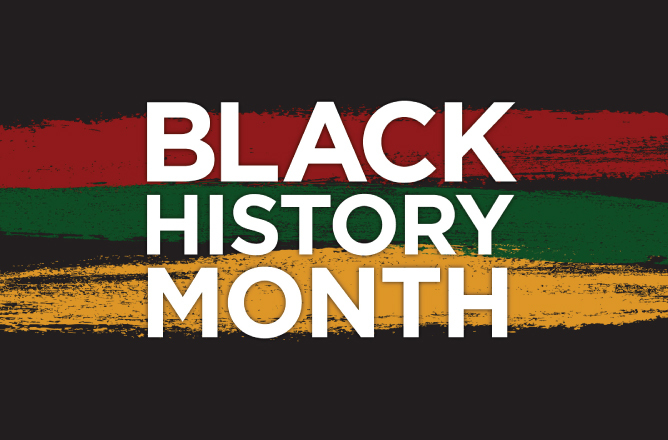 For me, Black History Month is a celebration of the advancements and profound contributions that Black Men and Women have made on our society, culture, and overall development as a nation. It’s a remembrance that Black Men and Women are the vessels that have held our families together, fueled our economy, and birthed a collective of incredibly brilliant leaders. Black History Month is a time of humility as I remember the faith and prayers that have carried us through our darkest times. It’s the ultimate indicator that my labor is not in vain, rather it continues to lay the groundwork and widen the lane for our present and future leaders to emerge. I’m most inspired by women like Lilly Ruth Wilson, Mildred West and Darla Payne whose resilience, faith, and sweat equity push me past my limits, comfort me during my most vulnerable moments, and inspire me to light the world with my gifts. I am a lighthouse in a sea of Black and Brilliant Men and Women working daily to leave the world better than we found it. I am Black History. For me Black History Month is the anniversary month in which I get to celebrate and get an overdose of Black History. To me, I believe in celebrating all year long because those who came before me did and created things that are continually making my life better. I celebrate by exercising my rights and freedoms by sharing as much information as possible to help others. The new stories I learn about during Black History Month re-energize me to stay the course. Madam CJ Walker’s story is amazing and I am grateful that she decided to blaze the trail of entrepreneurship. Black History Month is a month that allows us to take a step back, reflect on and honor the accomplishments of our ancestors. We tend to sometimes neglect the sacrifices that were made to transmute the earlier actions in history that caused a great deal of humiliation amongst blacks. We should not only seclude recognitions to one month of the year, but instead, celebrate and reflect all year. The individuals who put forth their strengths for equality did not receive the opportunity to celebrate or reflect on these accomplishments, we must not fall short of completing this for them. Black History Month is a time to reflect on not just the achievements of historic black leaders and figures but also ponder the strategies and tactics used to achieve great success. Too often we focus on the “who” and “why” and neglect to ask the question of how did they achieve their goals which in most cases is not attractive or newsworthy to most people. Black leaders who have made significant lasting contributions to U.S. History knew the importance of hard work, preparation and steadfastness despite living in circumstances that were not ideal if not hostile to their goals and dreams. Let us learn an important lesson from these great leaders that nothing comes easy. Whether it is a dream in the mind of Martin Luther King Jr. or winning 23 Grand Slam Championships like Serena William achieved, the hard work, dedication and persistence will grant you the opportunity to be named among the greats in history. Black History Month for me is a time to reflect and pull strength from my ancestry. I can feel the pioneer spirit of Harriet Tubman upon me as I work on my day-to-day mission to make career pathways in the beauty industry relevant to society. I relate to the visionary spirit of Martin Luther King, always seeing and speaking to the future by sharing the dream while confronting the day-to-day reality of how our people are currently living. I muster up the faith of Jessie Jackson to keep my “dream alive” and see it through. And, I am stirred up by the HOPE Barack Obama talked about during his presidency—hope that gives me strength as an entrepreneur.